We recognize that while cost for assisted living may not be the sole determining factor in your decision, it certainly is very important. Identifying actual cost can be challenging at most facilities due to extra fees for higher levels of care, complicated point systems, or fees for certain individual services. A rate is set initially upon move-in, but is subject to change based on routine assessments throughout the year. Under these programs, monthly fees frequently vary and routinely increase. One goal of Heritage Assisted Living is to be Knoxville's best health care value. We accomplish this by maintaining a single flat rate for the services available. We do not increase rates as a resident's needs increase or according to an assessment or point system. The single flat rate covers all of the services available. Residents and families indicate that our adherence to the single, consistent fee is unique and one of the important factors that sets Heritage apart. 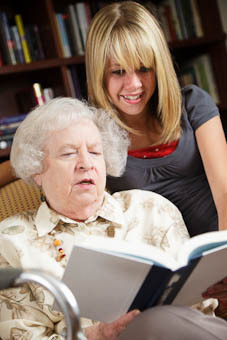 Click here to review a cost comparison worksheet to help you in your decision on assisted living. For more information on services and cost, please contact us on our contact page, or call us directly at (865) 584-7090.